Order your new curling shoes with a toe coat direct from the warehouse. 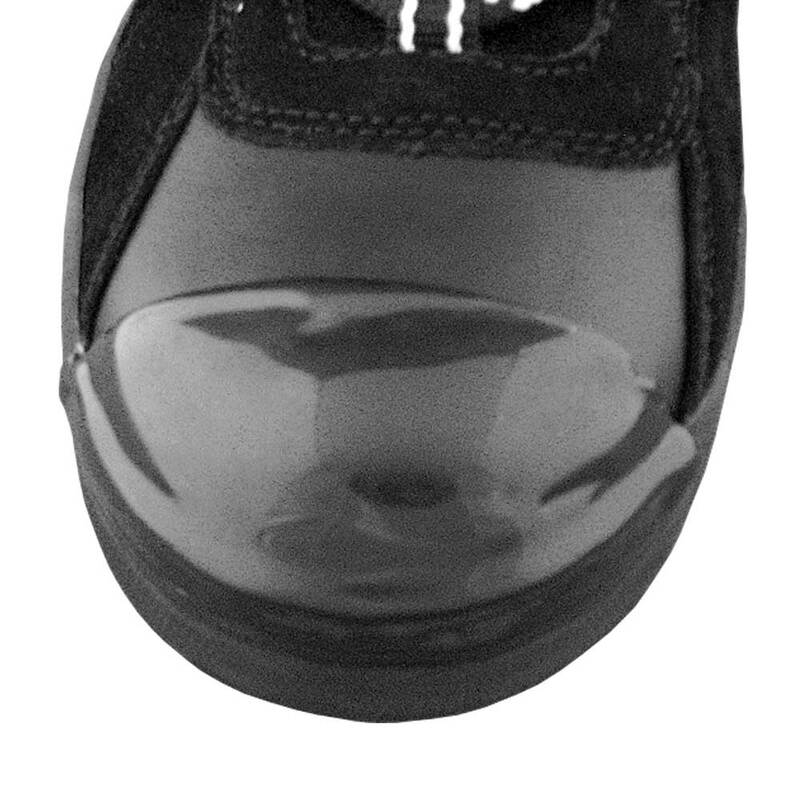 We will apply a tough epoxy coating to the toe of your trailing foot. The coating protects the toe of the shoe from abrasion and provides a more friction free surface to contact the ice. The purpose of a toe coat, sometimes called a toe dip, is twofold: protect the toe of the dragging foot from abrasion from the pebble; and, provide a surface on the dragging toe that is faster than the shoe itself. The application will outlast the shoe, and will be applied at our warehouse before we send your shoes out. Please allow an additional 3 business days on your order if you request a toe coat application.